WATCH THE RECORDED WEBINAR – AVAILABLE NOW! 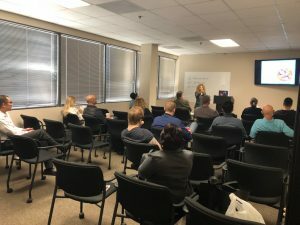 In this one day seminar with two prominent cannabis experts, Bonni Goldstein, MD and Eloise Theisen, RN, MSN, AGPCNP-BC, you will learn about the human endocannabinoid system – a major physiologic system that regulates homeostasis throughout the brain and body, regulating memory, pain perception, appetite, mood, immune system and sleep. You will learn how cannabinoids – endogenous, plant-derived and synthetic – can modulate the endocannabinoid system. You will learn about the various chemical compounds in cannabis, how they impact human health, and how they are extracted and used by patients. Additionally this course addresses clinical implications and treatment strategies, with a focus on working with both pediatric and geriatric patients. CONTINUING EDUCATION CREDITS: This course is provider-approved by the California Board of Registered Nursing, provider number 16845 for seven (7) contact hours. No refunds will be issued. If you are unable to attend, contact education@canna-centers.com BEFORE the live event for a credit that can be used toward future seminars. You do not have to be a nurse to attend this informational lecture. Bonni Goldstein, MD is the Medical Director of Canna-Centers Wellness and Education, a California-based medical practice devoted to educating patients about the use of cannabis for serious and chronic medical conditions. After years of working in the specialty of Pediatric Emergency medicine, she developed an interest in the science of medical cannabis after witnessing its beneficial effects in an ill friend. Since then she has evaluated thousands of patients for use of medical cannabis. She has a special interest in treating children with intractable epilepsy, autism, and advanced cancers. Dr. Goldstein recently authored the book “Cannabis Revealed: How the world’s most misunderstood plant is treating everything from chronic pain to epilepsy.” She is also the medical advisor to Weedmaps.com. A frequent speaker both nationally and internationally, Dr. Goldstein has appeared numerous times on the TV show The Doctors and is featured in the soon-to-be released documentary “Weed the People”. Eloise is a co-founder and the Chief Visionary Officer of Radicle Health. Prior to Radicle Health, Eloise founded Green Health Consultants, a medical cannabis clinic that helped patients use cannabis to help treat chronic and age-related illness. She is a board-certified Adult-Geriatric Nurse Practitioner and holds a Post Masters certification from University of Massachusetts in Boston, a Masters of Science in Nursing Administration from California State University, and a Bachelors of Science in Nursing from San Francisco State University. Eloise was one of the first healthcare practitioners to bring a clinical dosing regimen to the cannabis space. She has met with more than 4,500 patients over the past several years and has cultivated a wealth of knowledge and data for using cannabis to treat a broad range of conditions and diseases, especially those that commonly affect seniors.